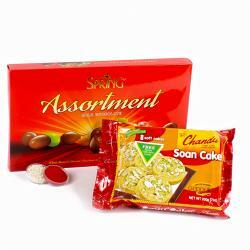 Product Consists : Cadbury Celebration Chocolate Box (Weight 140 gms) along with Cashew Nuts cookies (Weight 200 gms) and Pack of Roli Chawal. We have hand picked and specially curated this hamper to make your loved ones feel special on special occasions. 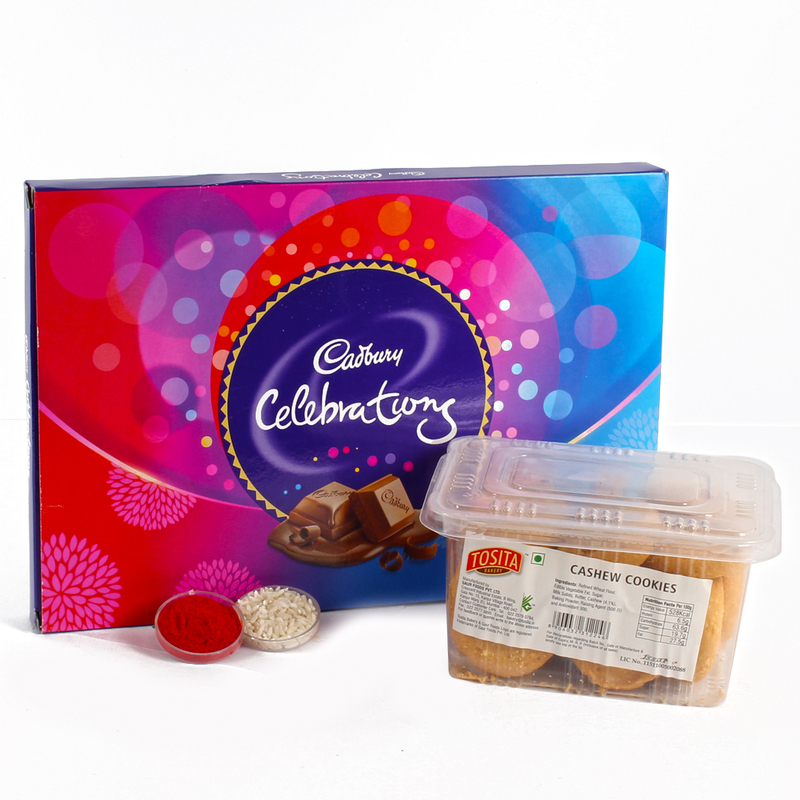 This hamper consists of a Cadbury Celebration Chocolate Box. 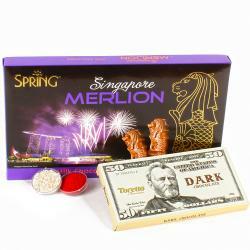 It is paired with a pack of tasty Cashew Nuts cookies. 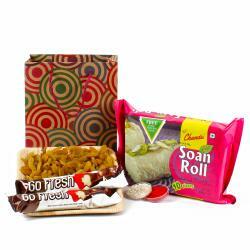 Send this hamper online to reach out to loved ones living far away with love. We are sure it will give them lovely memories to cherish. Product contains : Cadbury Celebration Chocolate Box (Weight 140 gms) along with Cashew Nuts cookies (Weight 200 gms) and Pack of Roli Chawal.